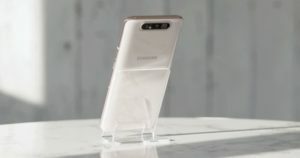 Samsung has finally unveiled its latest mobile device offering: the Galaxy A80. 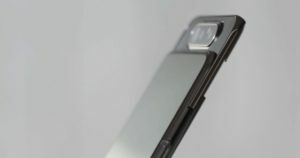 Built for the ‘Era of Live’, the Samsung Galaxy A80 boasts a full-screen display, Samsung’s first revolutionary rotating camera, and an intelligent battery. 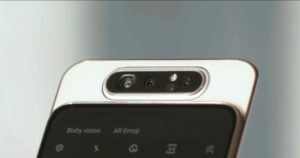 The Galaxy A80’s camera features triple lens: a 48MP main shooter; a 3D Depth lens with Live Focus; and an Ultra Wide angle lens. What makes it revolutionary is that the triple shooter rotates to the front and back when users switch between the main camera and selfie mode. 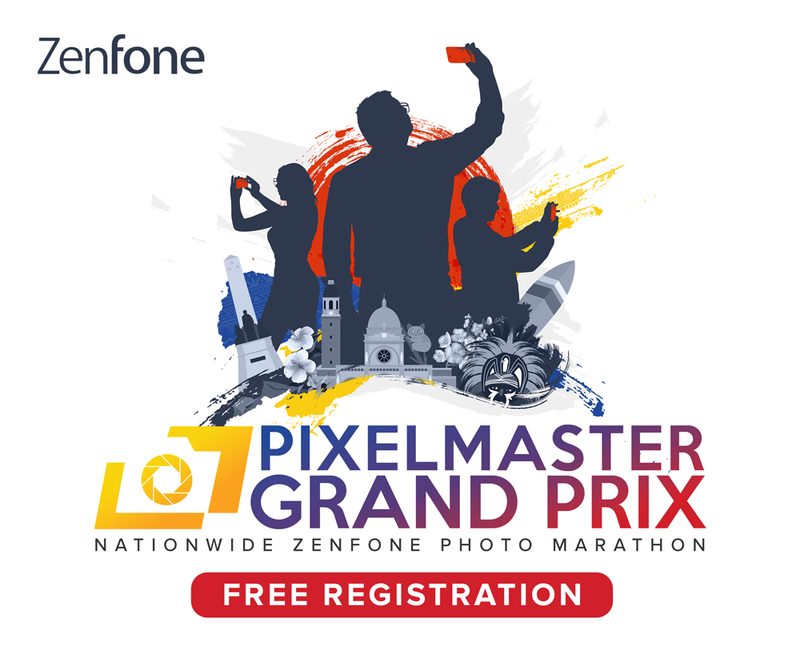 The camera comes with useful features like: the Super Steady video mode, which reduces shake on your recordings; the Scene Optimizer, which can recognize and enhance up to 30 scenes; and the Flaw Detection, which automatically identifies glitches before you click capture. Thanks to the innovative camera setup, the Galaxy A80 becomes the first Samsung device to tout the New Infinity Display in a 6.7-inch FHD+ Super AMOLED screen. To complement, this handset comes with Dolby Atmos for 360-degree audio experience. Powering this smartphone is a 3700mAh battery with Super-Fast Charging at 25W. The Galaxy A80 also features an intelligent battery, which learns your daily usage patterns to optimize your phone’s power consumption. Meanwhile, the Adaptive Power Saving Mode enables the smart battery to run in the most efficient and best performance. 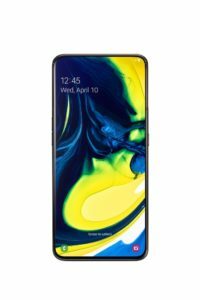 Other features on the Galaxy A80 are: Intelligent Performance Enhancer, an AI-powered performance optimization software that adjusts battery, CPU, RAM and the temperature of your device based on your usage; the Bixby Routines, which learns your app usage patterns and analyzes your habits so that it knows which features you need, when you need them; the Samsung Knox-fortified security platform that includes Samsung Pass and on-screen fingerprint scanner; and the button-activated or hands-free Bixby with Bixby Vision, Bixby Home, and Reminder. The Samsung Galaxy A80 comes in two colors: Angel Gold and Phantom Black. The new Samsung A-Series smartphone will hit stored worldwide on May 29. No word yet on its local pricing.